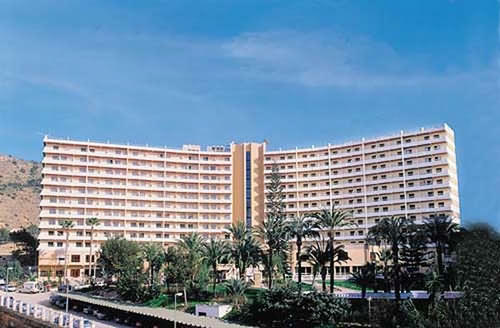 The 4 Star Hotel Palm Beach is situated half a mile from the centre of Benidorm and 750 yards from the Levante beach. Only 500 yards from bars, restaurants and shops. The hotel is set in tropical palm-lined gardens. It offers style and elegance with a range of facilities. Comprising of 299 rooms, spread across 10 floors. There are 3 lifts in the hotel. All rooms come with with bathroom, telephone, air-conditioning, heating, safety deposit box in reception, terrace, and mini bar and hair dryer.